I have been dreading this type of migration for years... so many years that I already had planned a couple of ways of solving the issue. It finally happened. Someone decides we need to change the farm from one environment to a new one completely different with a new AD and in a new city. Well, let's get to it. 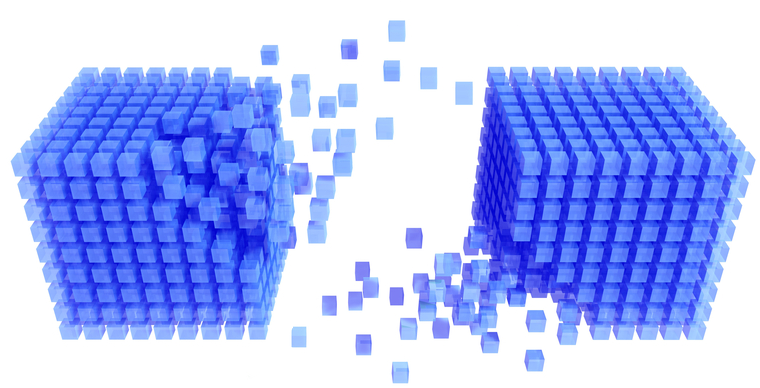 We have created a new SharePoint farm in the new environment and we have backed up and restored the content databases. We have manually changed the admin of the site collection to the new admin in the new AD in the new farm and we can access the site and see the data. Fantastic. The users in the list items are the users from the old farm. And we have several lists with a lot of user fields. And some of our lists have tens or hundreds of thousands of rows. Changing them manually is not an option. Ohh so easy... we change the login name of the user to something else and we are good because the user IDs are still the same... NO. This is a new domain and we don't have access to the old domain users so the migrateuser parameter throws a nice User not found error. And that worked. Oh the beauty of a simple idea. The process is pure brute force... beautiful in its barbarity... If you have read up to here you are probably desperate for a solution. Get all of the users from the old farm in an XML file or something really high tech (a csv could work too). Make sure all the users you need are in the new AD. As you have a list in XML you can pass it to someone with privileges in the AD. Ensure the users in SharePoint, add them to a group with reading permissions and then iterate through all the items in the list changing the users from the old domain to the users in the new one. //We will only change the value every 10 times to make the process faster. This is a first prototype that has worked as expected but it's not fully tested (by far) if you need it you can use it as a base to develop your own tool. The one who possesses the strings has the power. Do you remember having to meet at your friend's house to ask him to lend you his Zanac cassette tape? Do you remember buying a double cassette player to be able to copy the game just for testing purposes? The floppy disks arrived then and we had those huge bendy disks of 5 1/4 they were really fast and their capacity was amazing but they didn't change the fact that you needed to go to your friend's house to get a copy of Alley Cat. Then the internet arrived. And you still had to go to your friend's house to get the diskette if Ishar because it took much less time to get to the other side of the planet walking than downloading 1MB. But the internet was a game changer. After some time you completely forgot about 3,5 diskettes and you would only visit your friend to get the CD of Dungeon Keeper II or something like that. Windows 10 is similar when it comes to changing the paradigm of the distribution of the software and I will explain my point. Most of the programs and games for desktops were created for Windows and not for Linux or Mac and there's a good reason for that. 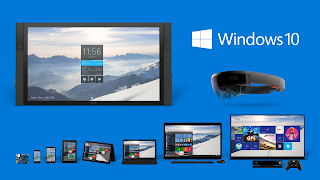 The market share of the windows desktop made working for any other platform a waste of money. The the market places arrived. And instead of going out to the scary internet to download you programs you would go to a supervised environment where you could download your programs safely. And the question comes again... Why develop an application for the 16% of the computers when, for the same amount of money I can create the same app for the 88.81% (given that W8 and 8.1 are compatible with the old desktop code)? It's a no brainer. 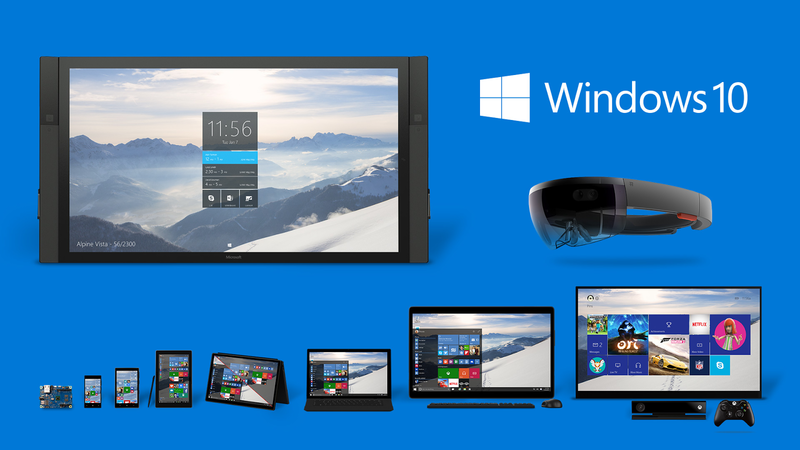 And here comes Windows 10. 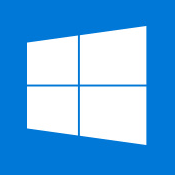 Offering Windows 10 as a free upgrade will surely convince most of the users out there with W7, 8 and 8.1 to get the latest bits and with them the ability to be clients of this new market. Not only that. Given that Windows 10 apps will also work in any hardware capable of executing W10 the target audience will be not only increased but probably multiplied. You will develop an app once and it will be downloadable by the desktop users, but also by the Windows Phone users, the XBox users, the Raspberry Pi users... the Hololens users! you name it. Why would anyone develop for any other platform?